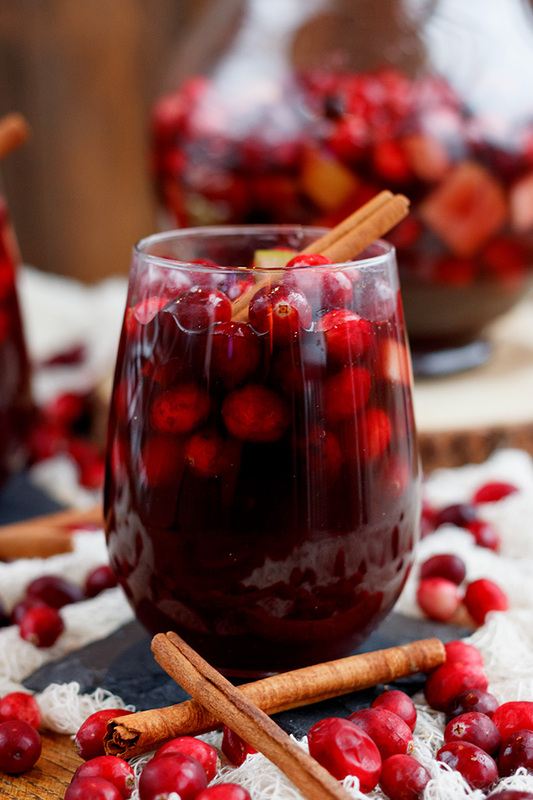 Simple seasonal sangria recipe made with red wine, brandy, fresh cranberries, and apple cider. In a large pitcher, add fresh cranberries, diced apple, and cinnamon stick. Pour red wine, brandy, tripe sec, apple cider, and cranberry juice over top and stir to combine. Place in refrigerator for 3-4 hours to let flavors combine. Using a spoon or ladle, scoop out some cranberries and apples and place in wine glass. Pour sangria over top and garnish with additional cinnamon sticks, if desired.